the cars could only move vertically in the garage, not horizontally shift. 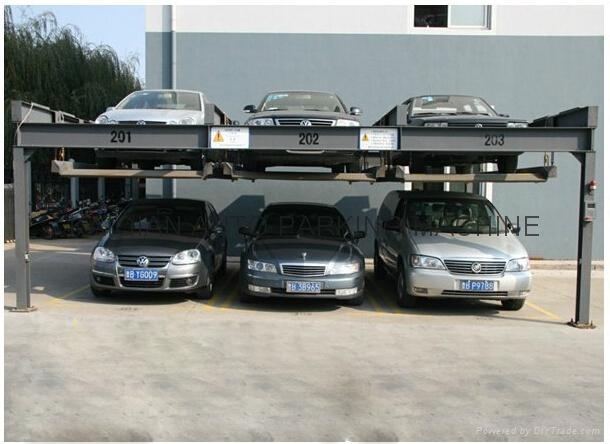 The carports are divided into upper layer and lower layer, using lifting mechanism to make the vehicle park or go out. simple structure, compact, is the most economic parking system. PLC computer control, button operation, high degree of automation. equippd with multipl safety protection devices, ensuring the equipment operate safely. Height of the parking equipment entrance should not less than 1800mm. Height of the internal channel for people inside the parking system should not less than 1800mm. Method of operation: button or card. Floor outside plaza; Basement; Small villa residence.